LG announced the high-end LG G Pro 2 ahead of the Mobile World Congress 2014, but it seems the company still has a few handsets to showcase at the MWC 2014. At the Mobile World Congress 2014, LG unveiled its mid-range LG F70 handset, which does not only bring LG’s exciting features, but also comes with LTE connectivity on board along with Android 4.4 KitKat as its operating system. “Not only does the LG F70 offer the best of LTE technology, its hardware and UX are also best-in-class. Utilizing our expertise in the field of 4G technology, we plan to strengthen our leadership in the global market,” said Dr. Jong-seok Park, president and CEO of LG Electronics Mobile Communications Company. The handset comes with a 4.5-inch display sporting a resolution of 800 x 480 pixels, and is powered by a quad-core 1.2GHz process and 1GB of RAM on board. On the storage side, it comes with 4GB storage with a microSD card slot for storage hungry users and supports up to 32GB. Other features include a 5MP camera for photos and videos, as well as a VGA front-facing camera, 2,440 mAh removable battery and runs Android 4.4 KitKat pre-installed out of the box. 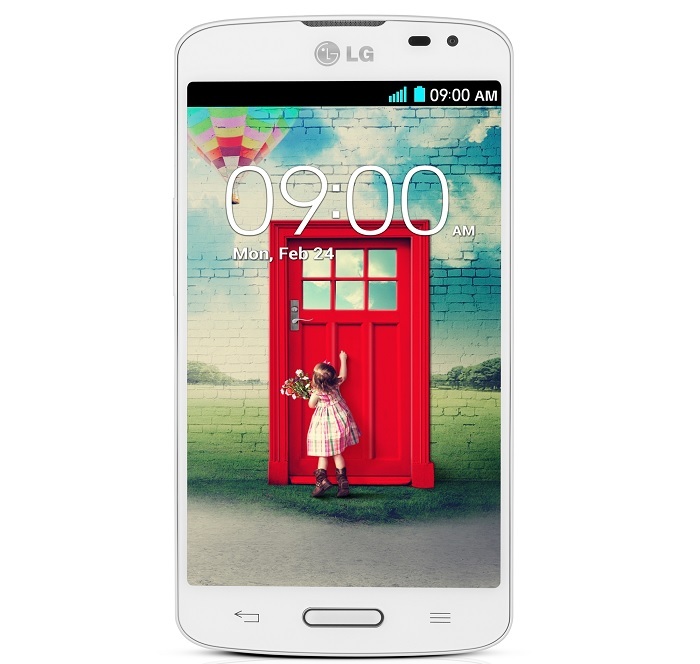 The handset measures 127.2 x 66.4 x 10.0mm and also features LG’s features such as KnockOn and more. At the moment, there’s no word about the availability of the handset or its pricing, but we’ll update you as soon as we hear something.